This Sunday afternoon at Benito Villamarin, Betis receive Atlético The Huesca occupy the last position of the Spanish championship with 12 points conquered to count for day 22 of the Spanish league. Betis are in 8th place in the Spanish championship with 29 points, with 8 wins, 5 draws and 8 defeats. With 25 goals scored and 26 conceded. His home performance has been positive, adding 5 wins in the 11 rounds as visited. The Sevilla team arrives at a less good time, with only 1 victory in the last 9 matches. Atletico occupy second place in the standings with 44 points, with 12 wins, 8 draws and 1 defeat. Its goal ratio has 32 scored and 13 conceded. His out-of-doors performance has been the least productive, adding 3 wins in 11 days out of the Wanda Metropolitan. The set colchonero is in a series of 19 games without knowing the taste of defeat. I believe we will have a balanced game here, preferring to see value in the corner market where both teams have been strong. Atlético presents an average of 11.19 corners per game, the highest of the Spanish championship. 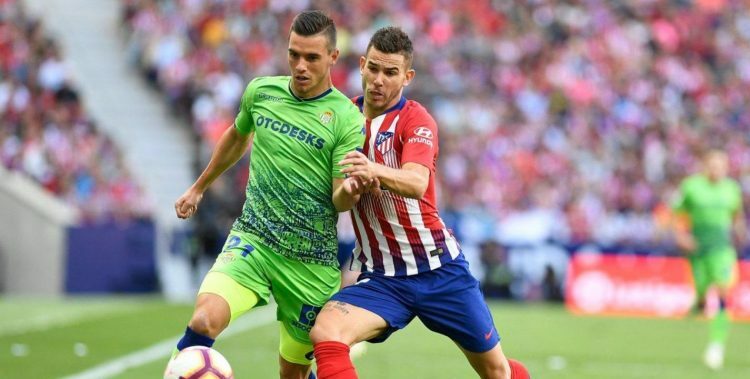 The colchoneros show capacity in this market whether at home or abroad, Betis is already playing in Benito Villamarin who produces more in this chapter. The Andalusian emblem presents an average of 6 corners in favor in the last 10 games before its fans and therefore I hope to see fulfilled here the line of the 10 corners.